How to choose your sunglasses for trail running? Trail running is a demanding, tough and technical discipline. So all of your equipment needs to live up to your demands! Often wrongly thought of as a mere fashion accessory, performance sunglasses, beyond their style, can be a real aid on mountain trails. 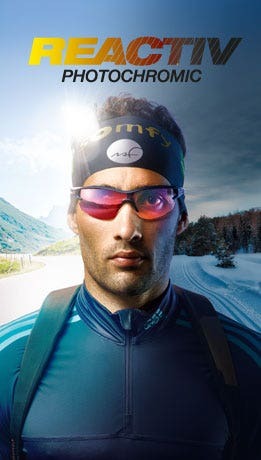 We can help you to see more clearly with our trail running sunglasses guide below. One of the main criteria when choosing your sunglasses for trail running should be the weight. The lighter the frame, the sooner you forget about your glasses, meaning you can wear them comfortably from start to finish. But to keep them on your nose all race long or during training, your sunlenses mustn't alter your vision. 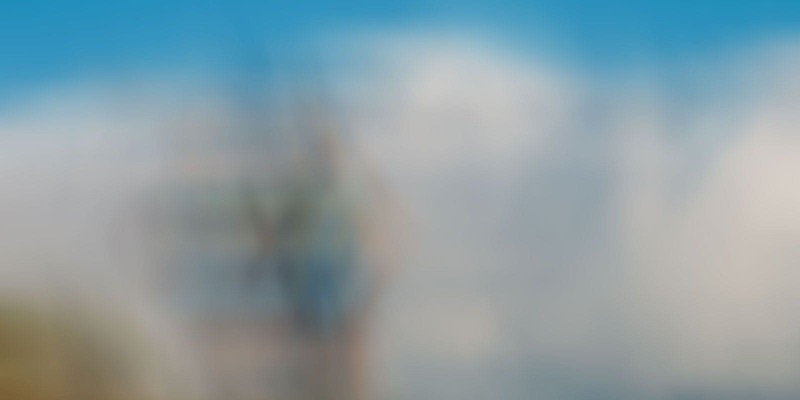 Photochromic, transitioning, adaptive, variable, changing lenses… Whatever you want to call them, they do the same thing: they allow you to take just one pair of sunglasses with you no matter how bright it is and whatever the weather (sunny, cloudy, overcast)! A photochromic lens reacts to and is activated on contact with UV radiation. The stronger the sun, the darker the lens and vice versa; all in the blink of an eye and above all without you having to do anything! There are several protection category ranges (cat. 1 to 3, cat. 2 to 4), all that's left for you to do is choose the one that suits you best. On top of protecting you against sunlight, wearing sunglasses in all weather, whatever the conditions, also allows you to protect your eyes against dust, wind and any other external elements that could obstruct your vision. What's technical about a frame? It's all the details that help to guarantee you comfort and hold. Whether in the choice of materials or the design of the temples, front or nose, the technical characteristics of the frame are important factors to take into account. Example: a pair of sunglasses with slim temples will sit comfortably on your ears and slip easily under a hat or cap. If the temples are also equipped with non-slip endtips, they won't fall off your head. And if the nose is adjustable, too, you're guaranteed very good hold. 4. Anti-fog coating or suspended lenses. Good sunglasses must let you stay focused on your objectives and guide your movements. So it's essential to avoid the appearance of any visual disruption, particularly due to perspiration. Our Zebra (cat. 2 to 4) and Zebra Light (cat. 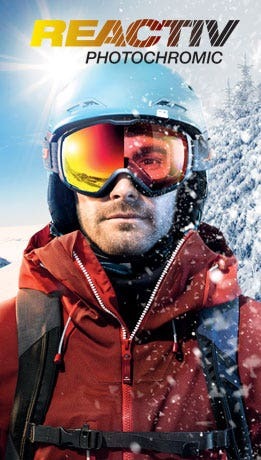 1 to 3) photochromic lenses have an anti-fog coating on the inner surface. And if you combine them with suspended lenses, you're sure to never encounter this problem! If you wear prescription glasses, you can also personalize our frames to meet your prescription needs. If you know your prescription, simply fill out the form to find out which sunglasses can be adapted to your vision. But you'll need to chat to your Julbo dealer optician to confirm the result. In a few words, comfort is key to your choice of sunglasses to let you stay focused on your objectives, your stride pattern, and the inclines waiting be eaten up. Once you've made your choice, above all don't forget to try them on and check they don't slip off your face when you bend down and gently shake your head. All that's left for us to do is wish you a good race!